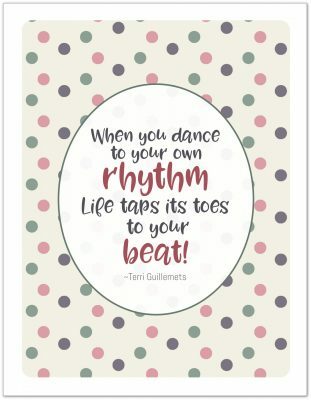 Welcome to Day 4 of the 31 Days 31 Printables series. Happy Saturday everyone! I love Saturdays. I can sleep in, (well as much as any parent gets to sleep in) stay in my jammies all day if I so choose, and generally take it easy puttering around the house. It’s the one day of the week where I don’t have to spend much time thinking about what we need to do, I reserve that for Sundays. So, it was kind of a surprise to me when I opted to focus on daily planner pages today. 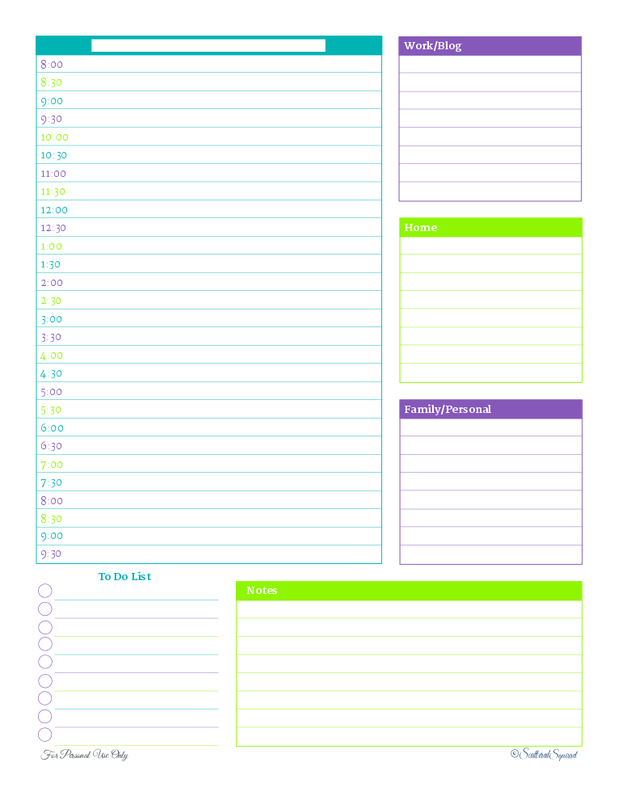 If you’ve ever taken a peak at the Personal Planner page then you may have notices that there are a few daily planner pages to choose from. I haven’t made too many versions of these, because I’m never sure what to put in them. 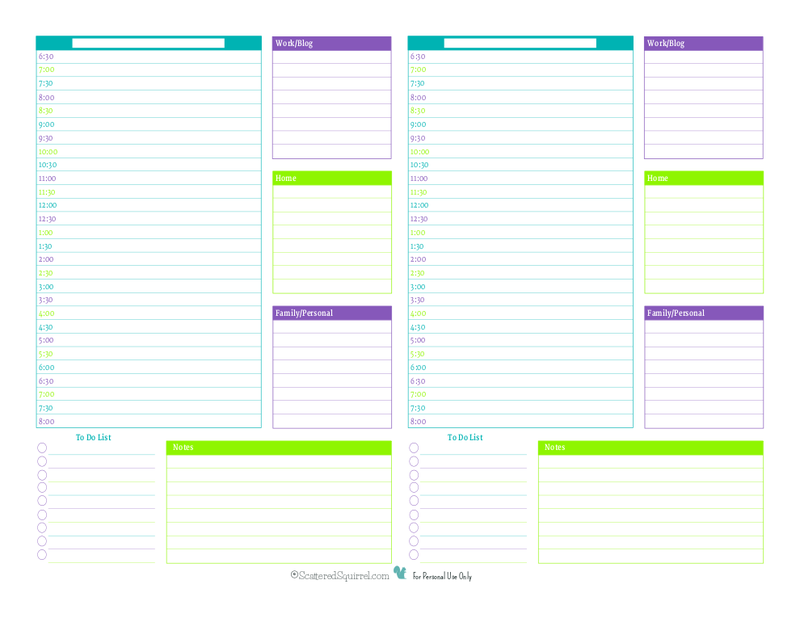 I, personally, prefer to use a weekly planner for the most part and only use a daily planner page when I know I have a really busy day ahead of me, The one pictured below is my personal favourite, as it allows me to create manageable lists to help structure my day. It’s also the starting point for today’s printable update. Hi! I really love the daily printable! I was wondering if you would be able to send me one that begins a bit earlier in the day? I wake up and have to get started by 6:30. Thanks!! How could I say no? After thinking about it for a while, I decided that what I really needed to do was create one for Early Birds that starts at 6:30 and one without times. Considering that Travis hasn’t worked a normal work week or shift since 2008, I know how hard it can be to plan your activities using standard timed planners. They never work. A day planner with no set times seemed like the best choice. As you can see, all I did was change the times. This planner seems to be working really well, as is, so I opted to leave the layout alone. Below is the one with no times. Again, I didn’t really change much of anything. Even if one of the requests hadn’t been for a half-size version, I still would have made some. I love using my Arc Junior notebook for my personal planner, and I know that there are many of you out there who feel the same way. 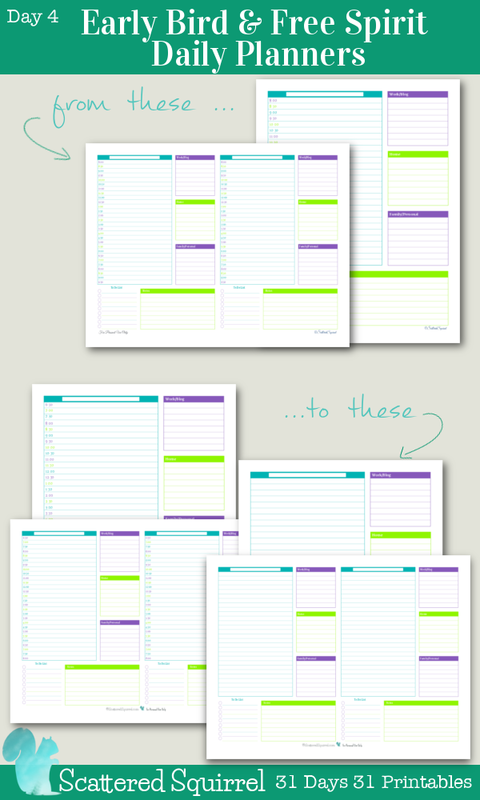 Half-size printables make for super portable planners, and so this collection would not be complete without theses two. Just like their full size counter parts. No really, they are exactly the same, why re-invent the wheel right? I’m not sure if I got these one exactly right for what was requested, but I sure do hope I came close. I may not use daily planner pages everyday, but these sure do make me smile. I have to admit, I think I’ll be printing the ones without times next time, because there is something nice and non-confining about being able to write in my own times. 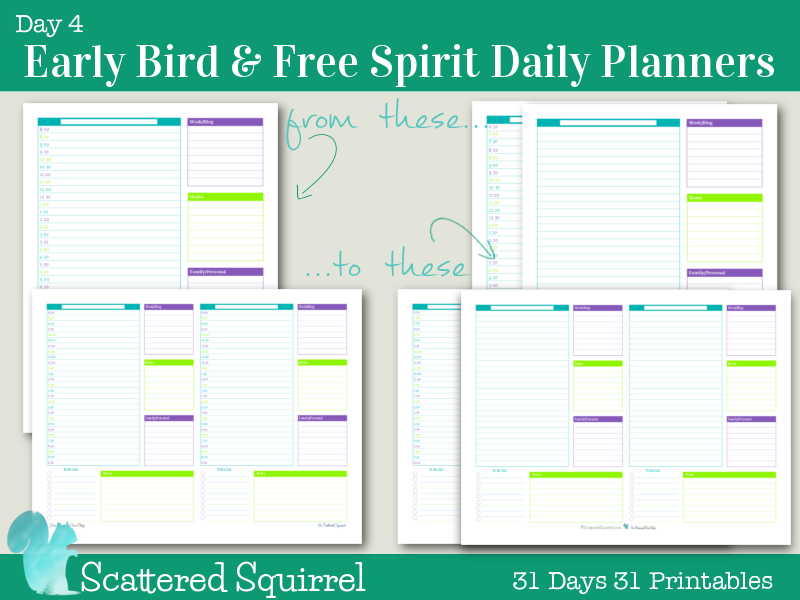 Are you an Early Bird or a Free Spirit when it comes to your day planners, or do you prefer something more traditional? Is it possible for you to make a printable page that’s only made just like your to do list section but also fills the whole page for people, like me, who would rather be able to visually see what tasks they have & haven’t completed without frustrating themselves out by trying to create a simple to do list where you can check off anything that you’ve finished? P.S. : Is the person who creates the printables one person that owns this site? Anyway, I was just wondering if for 1, is it a requirement to have my own website to leave replies, & 2 how do I get the email or emails of the person/people who made these printables? I can answer that. What I did was the exchange the pages. What I mean is, if you use them in the order in which she has them laid out, then no, you won’t have enough room when you punch them. Just change places. Put the right one on the left side and vice versa, and that way when you punch, you’re actually punching into the margin. Works beautifully, especially if you use Washi tape there to reinforce it.